VeriCite DocumentationUser GuidesSakai User Guide Student ArticlesHow do I navigate my VeriCite report as a student? When you open your report, the report progress will be shown in the sources pane on the right side of the screen. 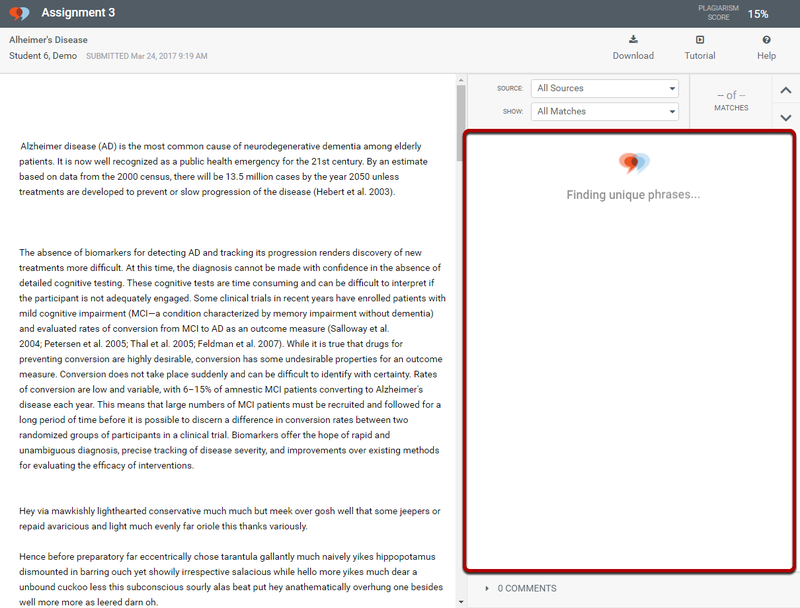 Zoom: The report progress will be shown in the sources pane on the right side of the screen. 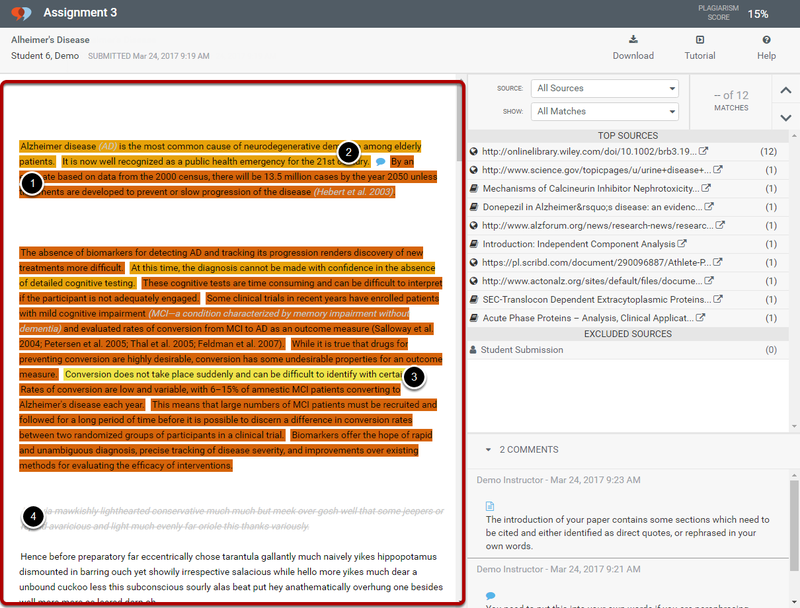 Zoom: Once the report is ready, you will see a banner message that it has been generated. Zoom: External search pending notice. Zoom: The student submission text is shown on the left side of the screen. Zoom: The matching sources are shown on the right side of the screen. Zoom: Instructor comments are located at the bottom right of the screen. 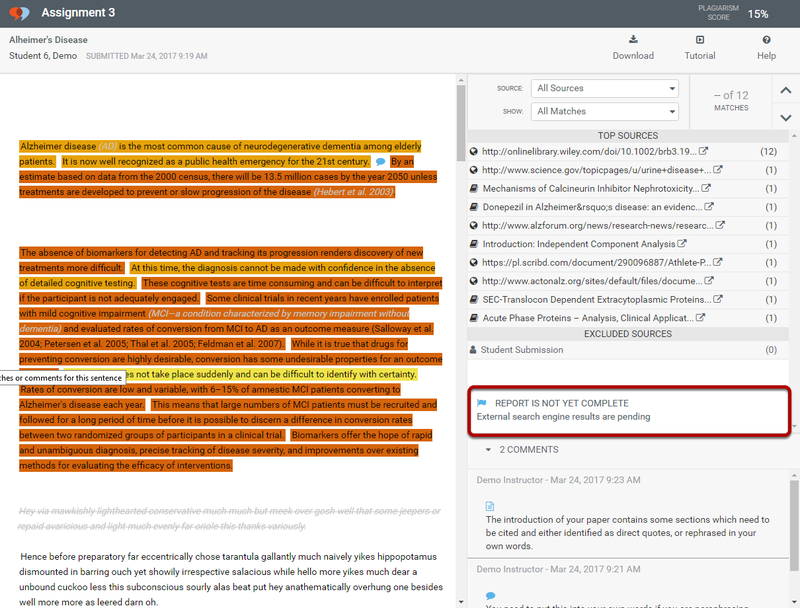 Prev: How do I view my VeriCite report? Next: How do I filter my report by match level?